Traveling? Load your bike with FLEAS! Whether you’re already an expert, or brand spankin’ new to traveling long distances on a motorcycle, it’s important to know how to properly pack and load your bike. 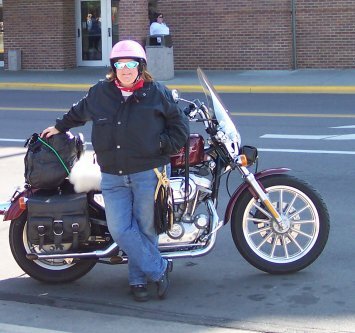 Your goal, of course, is to maintain the bike’s overall balance and center of gravity so that maneuvering isn’t any more difficult with the added weight of luggage and stuff. Like every good problem-solver these days, I’ve devised an acronym to help remember how to most effectively pack the bike for a trip. So get ready to pack your bike with FLEAS!! Forward – Keep your load forward, meaning over or in front of the rear axle when possible. A load that is too far to the rear can affect turning or braking, or cause the bike to wobble. Use common sense, of course: a tankbag, while certainly forward, should not interfere with your ability to manage steering or hand controls. Even – Distribute weight evenly between saddlebags so the bike doesn’t want to list left or right. Accessible – Keep important items accessible even when the bike is packed. Rain gear, cell phone, tool kit, camera… whatever is on your must-have list should be available easily when you stop for a break, so you don’t have to unpack the whole bike just to get to them. 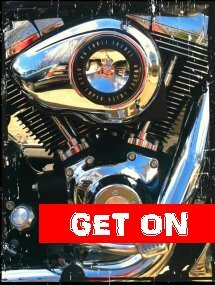 Secure – Goes without saying you should batten down the hatches as completely as possible, especially if you have a T-bag, roll-bag, or other “loose luggage” to attach to the bike. I use multiple bungee cords, criss-crossing them over the bags and making sure they are super-snug. It’s also helpful to know your bungee plan when using multiple cords. I hope FLEAS can help you remember how to pack for a trip… oh, I crack me up! Perfect, perfect, perfect. I hope you don’t mind but I’m re-posting this on my site on Monday (with full credit to you), it sums it up perfectly. Thanks! 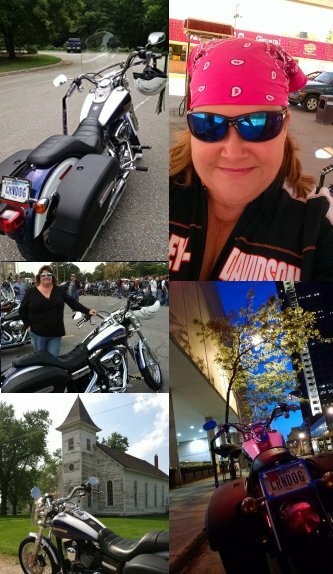 Rhonda, would appreciate full author’s credit and a link back, as follows: by Janet Green, http://www.bikerchicknews.com. Also, if you use the photo and graphics, a photo credit would be great too – “Photo and graphic by Janet Green.” I’ve had some of my material outright *stolen* before, so I’m kinda protective. Thanks for understanding. 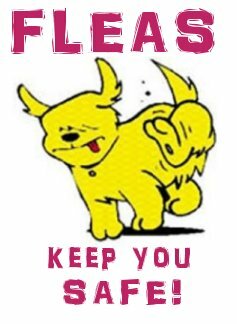 Fleas, you have to like that and it’s easy to remember. Great repost and sharing. Thanks ladies. I think that picture and acronym should be made into a sticker or t-shirt.